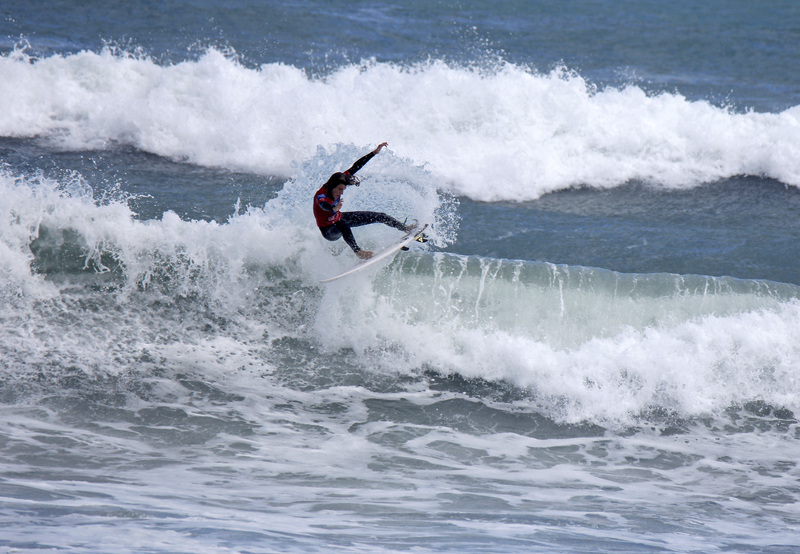 The first elimination rounds headlined day two at the Surf Dive ‘n Ski Australian Junior Surfing Titles in 4-6ft surf at Middleton Bay today. In the Under 18 Boys knock out round, Victorian Xavier Huxtable and West Australian Lachie Mitchell-D'Raine stood out in the solid conditions to move through to the quarter finals. Huxtable used superior wave selection to post the highest heat total of the round with 14.85 points (out of a possible 20 points), racking up an 8.5 point single wave score after linking up the outside bank all the way through to the sand, delivering a handful of well-timed turns in the pocket. WA's Solomon Pogue-Englert and Geroge Simpson were standout's in the Under 16 Boys requalification round, also progressing through to the quarter finals. While in the Under 18 Girls requalification round it was Queensland’s Piper Harrison and Western Australia’s April McPherson who impressed the judges with 11.25 and 10.80 point heat totals respectively.